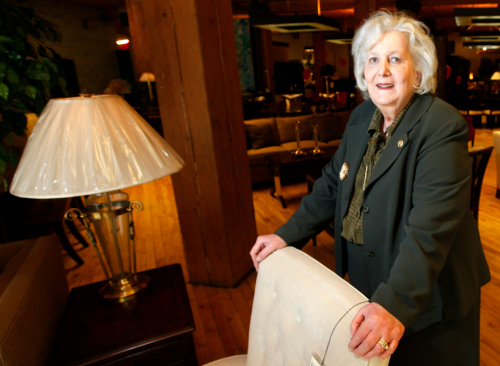 WINNIPEG, Manitoba – Cynthia Brick, one of this city’s best known and most beloved furniture retailers, has died at age 78 after a short illness. She passed away last Friday (13 July 2018) at the Health Sciences Centre here. Her daughter, Marsha Brick, told the Winnipeg Free Press that her mother’s death was unexpected as she was expected to return to work at the family’s furniture store – Brick’s Fine Furniture – which her parents founded in August 1969. Cynthia and Fred – who passed away in 2016 at the age of 80 – gained fame in the city they called home and throughout the Canadian furniture industry for two reasons. In 1987, The Brick Warehouse – now a wholly-owned banner owned by Leon’s Furniture Limited but then one of the fasted growing chains in the country – opened its first store in Winnipeg and took the Bricks to court, claiming ‘proprietary’ use of the name. Five years later, the Federal Court of Canada upheld Fred and Cynthia’s right to use their family name in the name of their business. The following year, Fred Brick began writing a regular weekly column for the Free Press. What began as an informational advertisement turned in a 20-year long relationship with this city’s largest daily newspaper and at least one self-published book. The column always appeared on page 3 with Fred writing about the store, the furniture industry and everyday happenings in his life. Marsha Brick, who has served as store manager for the past 12 years, said she intends to continue the tradition and will pen and publish a tribute to her mother. A single unit operation, Brick’s Fine Furniture specialises in ‘better and best’ quality goods – counting manufacturers such as Barrymore Furniture, Brentwood Classics, Durham, Hypnos Mattress, Bernhardt, Drexel Heritage, and Hancock & Moore among their vendor partners – and has become synonymous with fine furniture in Winnipeg. Indeed, today Brick’s Fine Furniture may be the only furniture retailer of its kind left in the city. However, the store is smaller now than it used to be with only Marsha and Cynthia on staff. She said Cynthia was always active in the business, even in the early days when women weren’t often in prominent business roles and had great fun in the male-dominated industry by driving a hard bargain to purchase products for the store. Cynthia Brick’s funeral was held at Shaarey Zedek Synagogue on Monday, 16 July. She is survived by her five children – Marsha, Ira, Robert, Lisa and Stuart – and seven grandchildren ranging in age from 3 to 27.